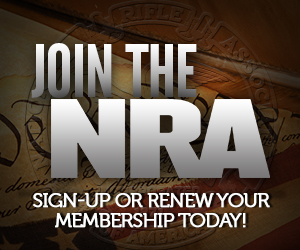 We all know about NYC’s Mike Bloomberg illegal mayor problem in Mayors Against Illegal Guns, where he recruits dozens of criminal mayors to work with him at disarming law abiding citizens. But it looks like Bloomberg is trying to help out another type of rat take over in people’s lives. Bloomberg is instituting a composting law in New York City that will ask (initially, then require in a couple of years) residents to store rotting food for a week so the city can collect it. 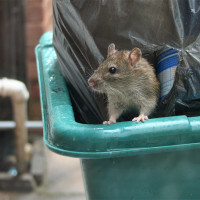 Yes, he is asking entire city of New York to keep food scraps sitting around to attract more rodents and bugs for a week while they wait for the city to send a special collection team to pick it up. Now, I have no issue with people who choose to composte. In fact, the city apparently did a voluntary trial run on Staten Island that saw rather significant participation rates. But what they don’t seem to be focusing on is that those participants lived in single family homes on lots that gave them the option to store the food scraps outside of the living areas. Those who live in high rises will not have that kind of flexibility. But that’s not the only kind of rodents Bloomberg is promoting at the moment. His Mayors Against Illegal Guns tour continues to garner negative attention for how they define gun violence victims. It’s not just the Boston bomber that Bloomberg’s group initially labeled a “victim.” Did you know that cop killers are victims we must mourn? Jacob also shows us that Bloomberg labeled a man who was shot by police while threatening a toddler’s life as a gun violence victim. Mike Bloomberg and his MAIG allies think we need to stop the lawful defensive shootings senseless slayings of these killers targeting law enforcement and children. It’s an interesting position to take by a group with a higher-than-average rate of criminal activity. It was, lo, about 26 years ago that I resisted Middletown Township adopting a mandatory recycling program — because it was mandatory and the codified penalties were pretty draconian for the time. I was pretty much alone on that, at least in public, though lots of people grumbled over the fence. But my most vivid memory of that time is, the number of would-be gauleiters who went scurrying to the front of the room when one of the supervisors, thinking out loud, suggested they might want to appoint volunteer “recycling wardens” to prowl people’s trash on their blocks and report miscreants and backsliders. I remember one woman who was saying as she scurried “Oooh, pick me, pick me!” half under her breath, but audibly. Fortunately that was never done, and the program in fact has not been very draconian (I personally never heard of anyone who was cited for not participating, though there may have been a few cases) but it certainly was a quick study as to how close to being Nazis many of our neighbors are; pretty damn close if you get a good Good and Motherhood belief system going. Why wouldn’t they read off those names? They’re included in the “gun death” count after all, so they should. Because if your tour stop includes an introduction that you want to keep more lives like these from being lost (the typical talking point at these types of events), then that essentially leaves the organization in the position of saying that they don’t want law enforcement to be able to shoot anyone at all, no matter how many lives they may be threatening. If that’s the position they are taking, they are within a step of saying that not even cops need guns. That’s a position extremely far out of anything even slightly resembling mainstream. The purpose of this letter is to inform you that your petition to buy/sell/build/fix your property is refused because you did not properly fill out the 5-Year Composting Plan of the Environmental Assessment form. Although the Environmental Assessment form makes no mention of composting, you were required to address composting in a 5-part attachment. Please be aware that your $500 filing fee is non-refundable. If you do not re-file within 30 days, the City will assume that you waive all rights to retain said property, and the City will condemn the property and sell it at auction. I bet they’d fine anyone who tried to make a real compost pile in their yard, even though a hot pile is a lot more sanitary than rotten cooking scraps in bins. How about a worm bin? Grow earthworms? I haven’t looked into it for a long time, but I understand that properly maintained they are relatively odorless, and that earthworms will consume an amazing amount of food scraps. Ever the malevolent dwarf, that Michaelstiltskin.